Birds Eye’s Managing Director, Wayne Hudson, accepting the award on behalf of the business at its head office in Feltham, from Toby Middleton of the Marine Stewarship Council. 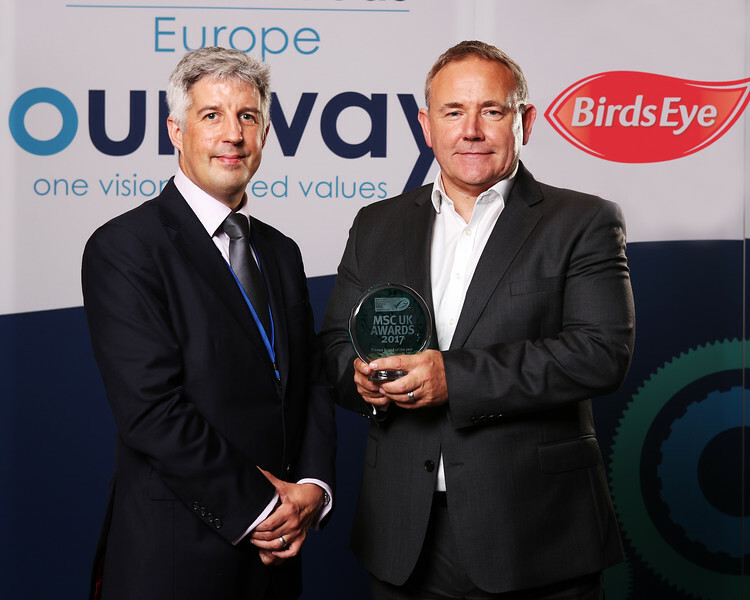 Birds Eye has been awarded UK Frozen Brand of the Year by the Marine Stewardship Council (MSC). award on behalf of the business at its head office in Feltham, from Toby Middleton of the MSC.